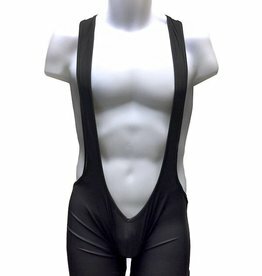 Come out, SHOW OUT, be TRUE to YOU in our Men's Catsuits & Bodysuits! A WORLDWIDE collection curated for your fantasies. In alternative materials including Mesh, Fishnet & Wetlook Finishes. Coming at you in VARIOUS and UNIQUE styles including Footless, with Gloves & Feet, Front & Back Zipper Entrances, Full-Closure & much, much more!